hi mulgan if i write the above mentioned query it shows an error, it was not executing the Error is "Parent relationship queries are disabled in Workbench: Owner.Name". So please send correct query. Workbench doesn't support this. Use force.com explorer. Then why are you tested it by work bench(if you don't mind), is there any specific reason......? 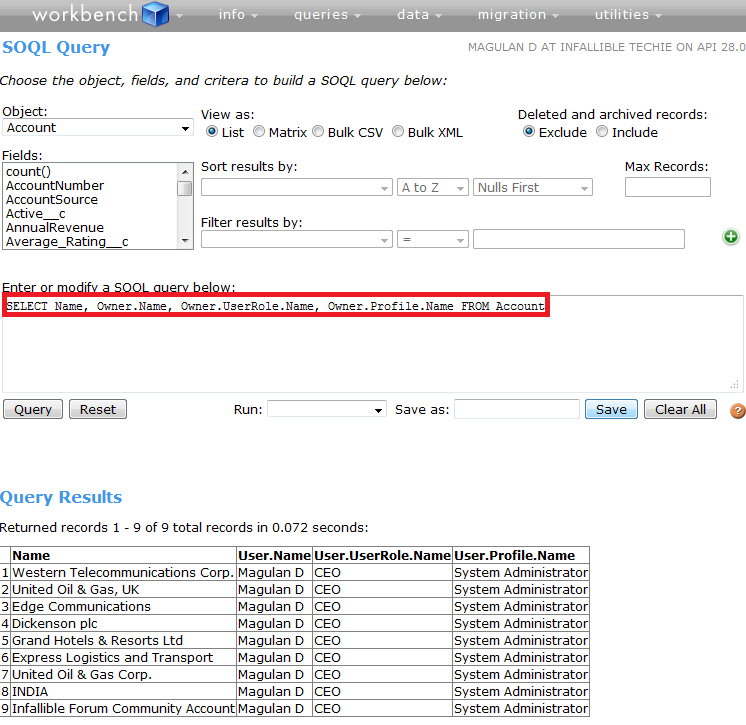 Go to the workbench setting and in the Query & Search option click on the check box "Allows SOQL Parent Relationship Queries" and click on apply setting.